Halloween isn’t just about candy, spooky costumes, and scary movies. Carving pumpkins has been a Halloween tradition for many generations. The Irish first started the tradition of carving Jack O’Lanterns in America to ward off evil spirits. Today, Jack O’lanterns have become an art to showcase on your doorstep, each pumpkin depicting movie characters and scenes, famous actors, and incredibly realistic faces. 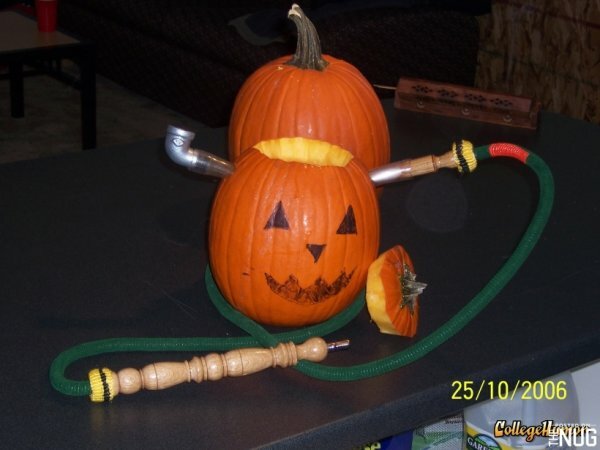 With a hard smooth shell and hallow centre, it seems that pumpkins are created to be carved…into pumpkin bongs! 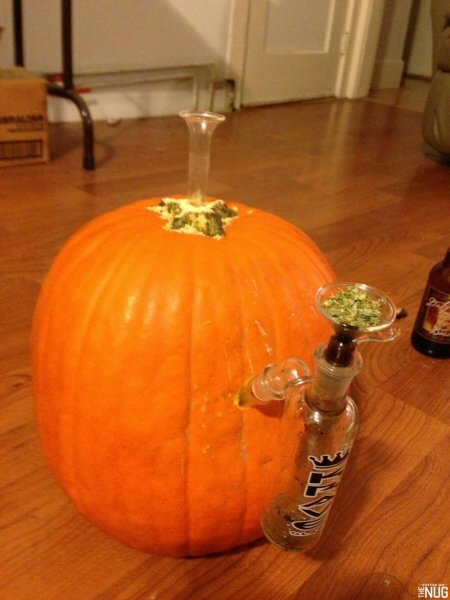 Today, stoners are finding other ways to use pumpkins and get in the Halloween spirit. Whether it’s carving cannabis themed Jack O’Lanterns or making homemade bongs out of the round orange squash, there is no limit to the creativity. 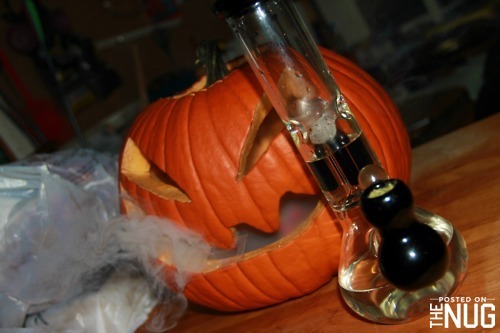 Making something creative whilst smoking is combination made in heaven, so this Halloween put your stoner skills to the test and create an organic bong for this spooky holiday. If you need some guidance on just how to make a pumpkin bong, the steps are pretty simple. All you need is a pumpkin, a power drill, two turkey basters, a metal screen, some weed, and less than five minutes. If you need video instructions, check out Master Bong for a step by step guide.